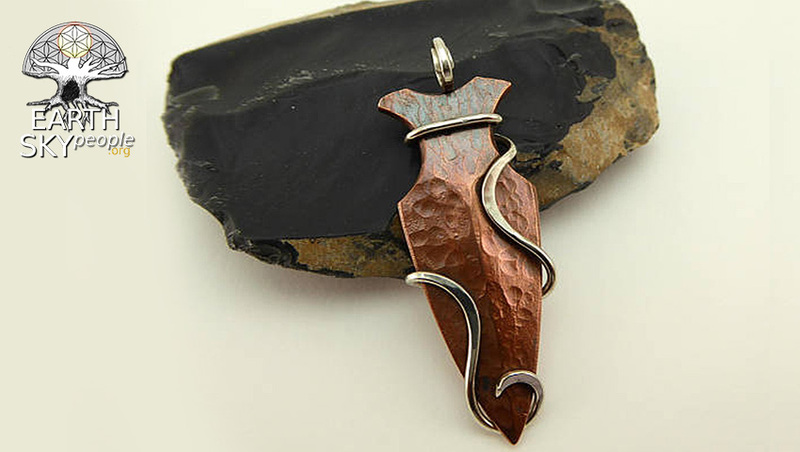 Hand forged primitive copper arrowhead, wrapped in hammered sterling silver. Made in the USA! 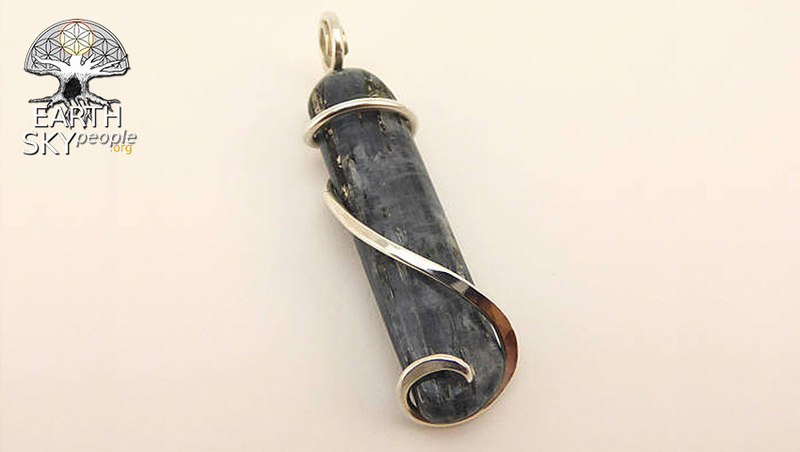 This arrowhead pendant was inspired by ancient copper culture artifacts found in the Great Lakes area. 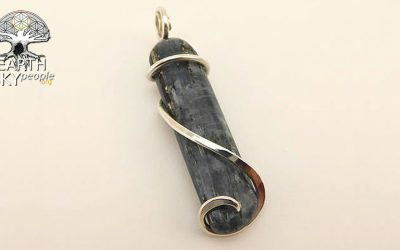 A copper ingot is hot forged into an arrowhead, lightly oxidized with a dark patina then burnished and tension set in a cold forged sterling silver wrap. 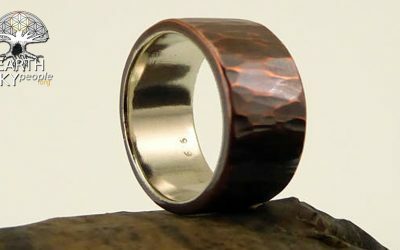 Rustic copper ring with a fine silver liner, hand forged in the USA! 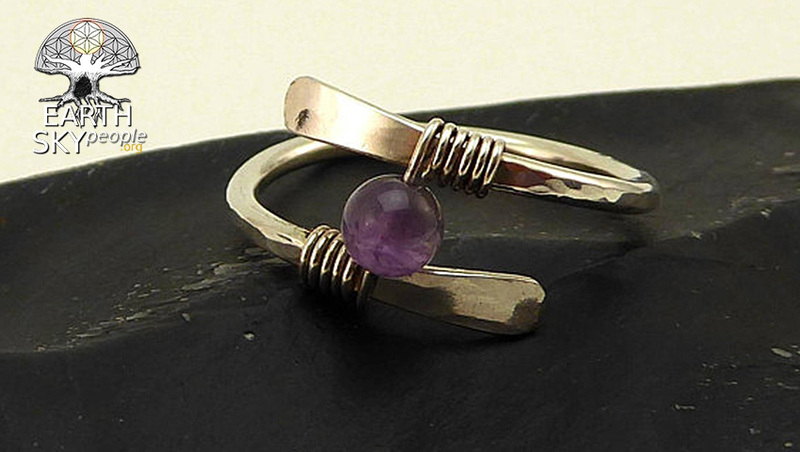 This ring is elegant and minimalistic in design, yet bold in character. 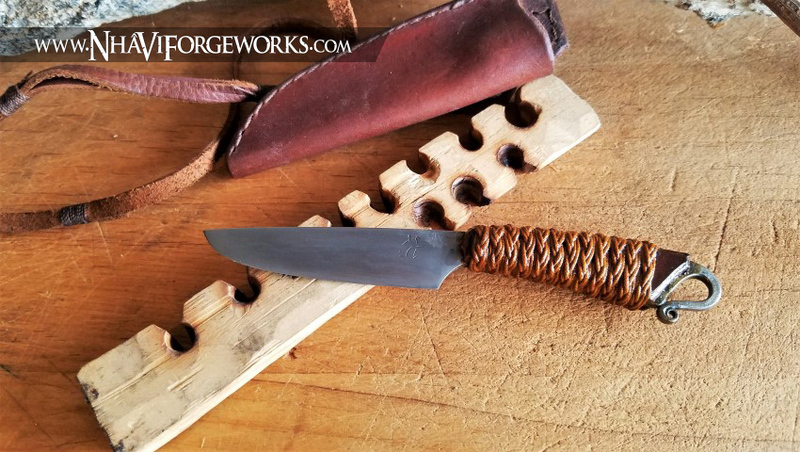 Crafted using traditional metalsmithing techniques, the outer ring has a richly textured surface created through cold hammer forging following by a forced patina and finished with a light polish and thorough burnishing to bring out the shine and harden the surface. The primary, outer band is forged from pure copper and lined with an inner band of 99.99% pure silver. The silver and copper are silver brazed for a permanent and durable bond that resists corrosion, unlike pressure fitted liners that are prone to deterioration. Crafted from sheet silver and copper, this ring will have a fine brazed joint that will appear as a faint silver/grey line on the copper. Forged to a final thickness of approximately 2mm to 2.2mm, this ring can be ordered in a variety of widths. Each ring is a unique hand forged creation, made to order and will vary in appearance from the example pictured above. 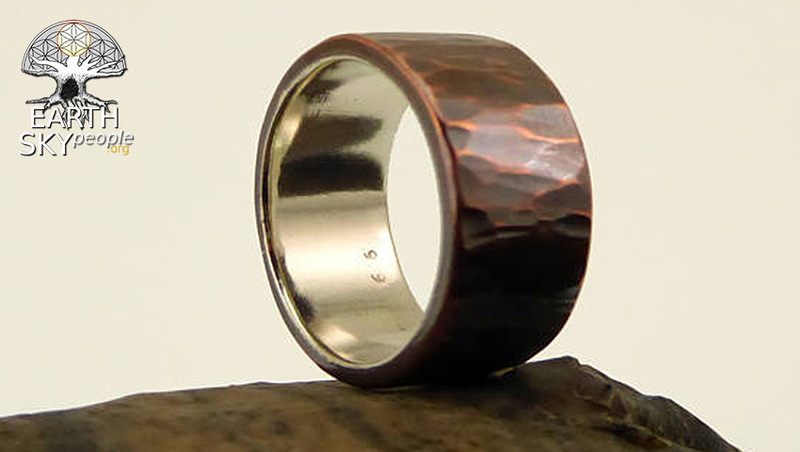 Note that copper will develop a natural patina over time and your ring will develop a more personalized character depending on your lifestyle. Finished rings are protected with a very light organic beeswax polish that will rub off with use.